One more project is done and one more happy house owner! 1. Removed up to 20 yards of topsoil. 2. Slope and grade hillside. 3. Installed natural boulder rock steps along side of hillside grass / fence line. 1. Demo and removed failed boulder water feature (20’x20’). 3. 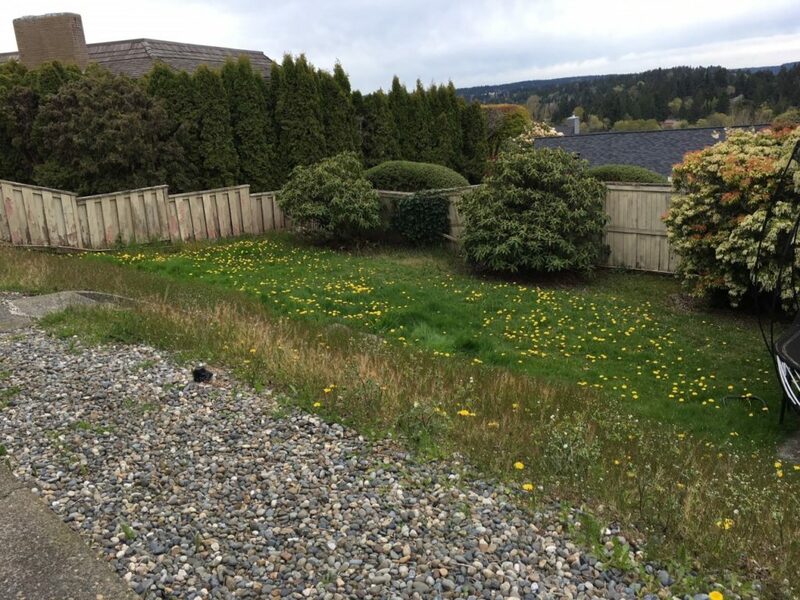 Removed 10 x plantings around back yard landscape. 4. 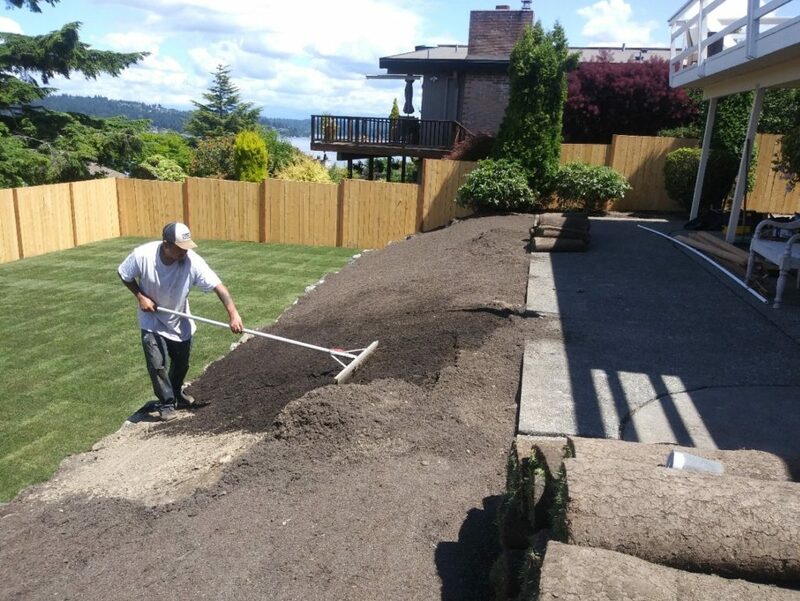 Installed 3 x zone of irrigation for turf/ 1 zone in back yard, 2 zones in front yard. 5. Installed 2600 sq. ft. of new sod. 1. 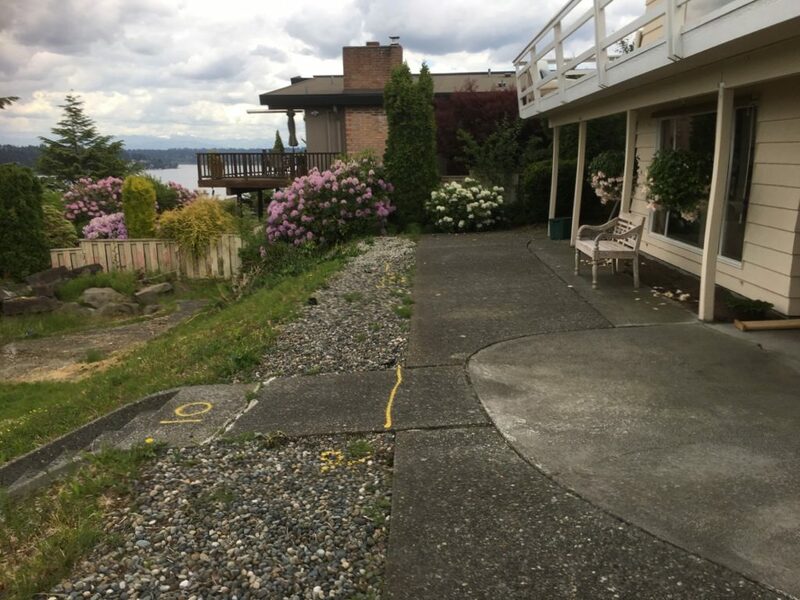 Demo and removed all fencing and landscape needed for new installation. 2. 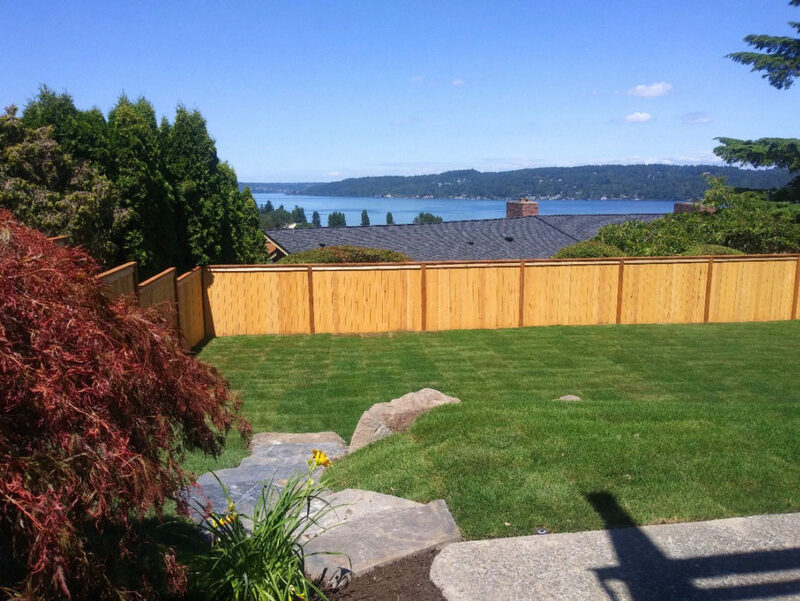 Installed pressure treated cedar posts every 8’ in concrete. 3. 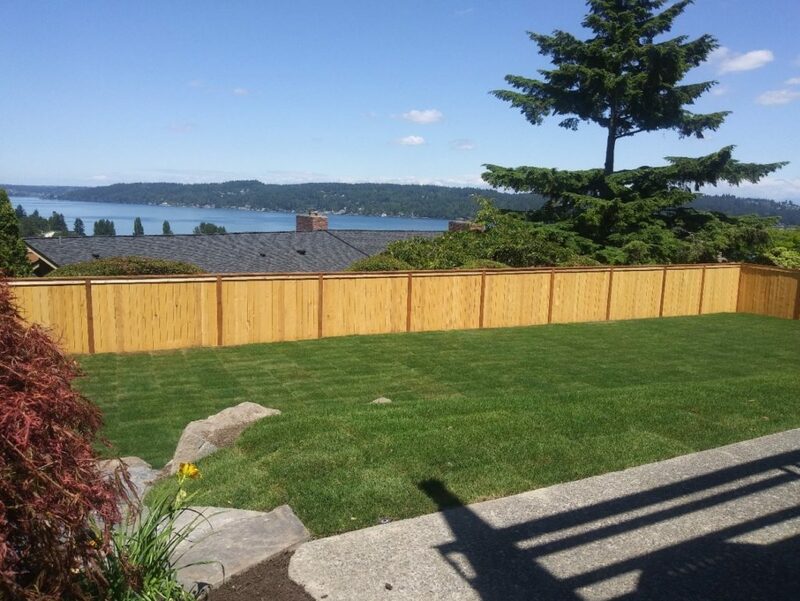 Installed 250’ x 6’ cedar slat rail with 2 x swing gate at each side of property. 4. 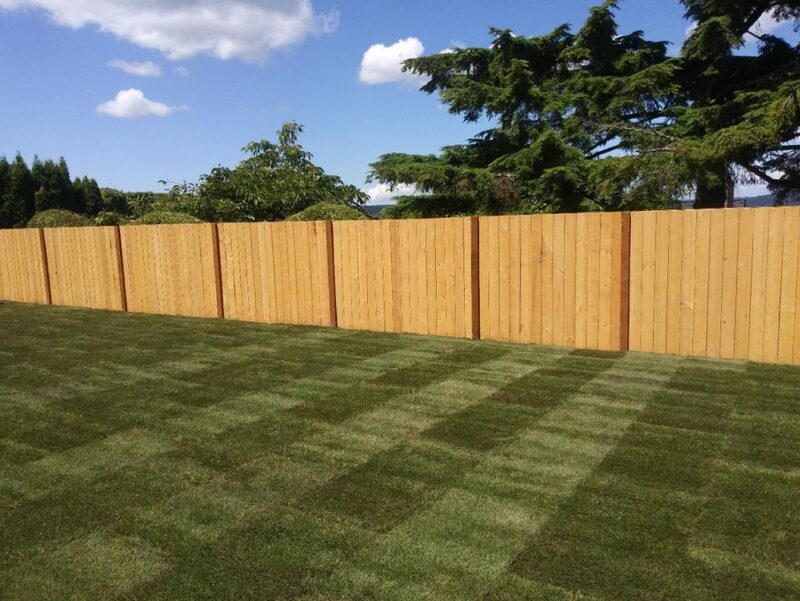 Fencing tiered with landscape. 5. 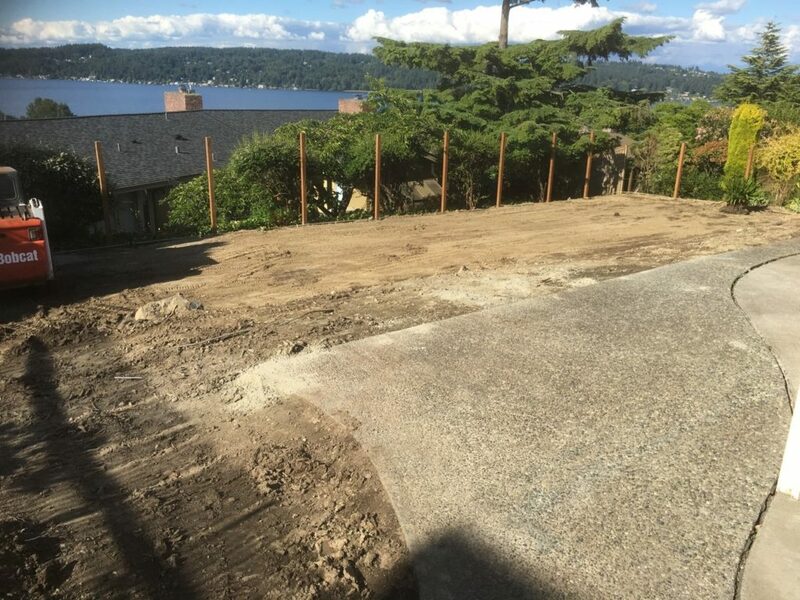 Removed and disposed of all landscape and construction debris.